Clean Well Water Report: What Are The Top 5 Most Common Mistakes When Choosing a Water Well Filter? 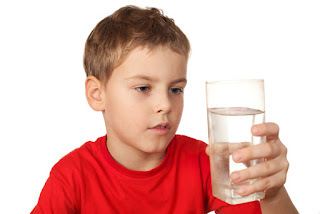 What Are The Top 5 Most Common Mistakes When Choosing a Water Well Filter? "We grew up in the city and have retired to our country home on well water. I want to improve the water, are there any things we should look for or do (or NOT do!) when looking at filter systems? Mostly we think we have an iron problem, I don't want a softener." Thanks June, that is a great question. I will send you a separate email about your water chemistry (thanks for emailing the water test).. but I thought I would share with you and my other readers problems related and common issues. There are five common problems folks make when buying a water well filter for their domestic water well. You may not be in this situation but here are the common ones to think about! Failing to correctly test the well water chemistry. Not understanding precisely how their well water system operates. Not understanding the flow rate. Not selecting a water well filter that will work for their water chemistry, flow rate, and water pressure (and ending up with a filter that won't work properly, and restricts the flow and pressure in the home). Did you grow up on well water? Many folks (like me) grew up in the city (or suburbs in my case) with safe treated city water and later relocated to the countryside. We never gave much thought to the water supply until we were on well water, and saw our fixtures turn white or orange. Drinking water was taken for granted and thought to be plentiful and safe. After living on a home with well water, you may have noticed unpalatable or smelly drinking water for the very first time. Your well water may be rusty, be full of sediment, have a bad odor, or perhaps have bacteria. Happily there are a wide array of water well filters in the marketplace to resolve these issues. Unfortunately numerous water treatment equipment suppliers, retail outlets and big box retail stores often have only one type which are supposed to fit every situation, which results in poor performance and frequent repairs and service. safe clean water as well! Almost all water well filters have certain ranges as well as conditions that they operate within. For example many well waters are often acid in nature, and at the same time have iron present. Many iron filters will not remove iron when the water is acid, so first the water must be treated to counteract the level of acidity in the water. Understanding what exactly to analyze for is very important. If the well is located near filling stations, industrial sites, or near a farming area the well water should be analyzed once a year for a number of chemicals such as pesticides, herbicides and organic compounds. You might also consider a bacteria test at least once a year to make sure your well is free of coliform bacteria. 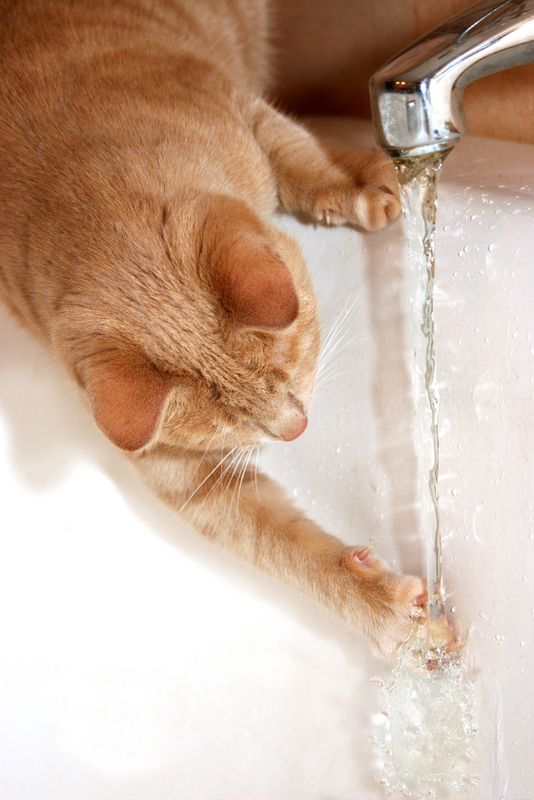 Get a general mineral analysis in order to test for common water quality situations such as undesirable tastes, smells, or stains.This typically includes manganese, iron, hardness, dissolved solids, pH, turbidity and alkalinity. Further analysis can include nitrate, sulfate, arsenic, chloride, and sodium, not to mention metals such as lead. Your well water is pumped from the ground automatically with a a pump inside the well (a submersible pump), or perhaps you have a pump which is located on top of ground level that pulls water out of the water table to create water pressure within the house (a jet pump). Quite a few well water systems use a large holding tank to store the actual water before it is pumped again into the family home. Various other well water systems will be gravity fed, and use gravity to supply water pressure towards property. Understanding the principals of the way the well water system performs is important when deciding on a water well filter. The type of treatment solution which is used can detrimentally impact the water pressure and flow rate in the house. For example should the well use a pressure tank, a water well filter should be set up after the pressure tank, never right before, to avoid causing damage to the well pump. Water wells and well pumps come in different sizes and can pump water at different rates. For example water that fills up a 1 gallon container in one minute, can be said to be pumping at 1 gallon per minute or 1 GPM. It is easy for you to determine what the flow rate from the pump. Click Here for an easy to use flow rate calculator. This will enable you to size your water well filter so it works with your well's particular flow rate. Most water well filters are automatic back washing type and demand specific nominal flow rate. A typical miscalculation is to install a water well filter that will require 10 gallons per minute, but have a well pump that only pumps 7 gallons each minute. In this situation, after a number of months, the water well filter will not work properly. If a home is large and the well can easily pump a higher flow rate, but a smaller treatment system is put in that does not work with the given flow rate, water pressure drop definitely will result. Water pressure also has a crucial role in selecting your water well filter. Almost all water well filters will reduce the water pressure slightly as the water flows through the equipment. It is critical to know what the water pressure from the well pump and pressure system, prior to buying your water well filter as a way to get decent water pressure inside the home. In this manner, kitchen and other fixtures and home appliances will work correctly. Many well pump systems may be fine-tuned to function with a higher pressure, if the pressure is not high enough to start with. Although some water well filters get rid of different pollutants, there isn't one treatment system that can work with each and every application or water contaminant. It is essential to understand what the capacity of the treatment methods that are being considered, what contaminants they remove, precisely what selection of flow rates they're able to process, and what water pressures they will operate within. Have a question about this? Email me at gb@cleanwaterstore.com if you have questions or comments!